Three African-Americans punch, kick, Jew walking in Crown Heights. 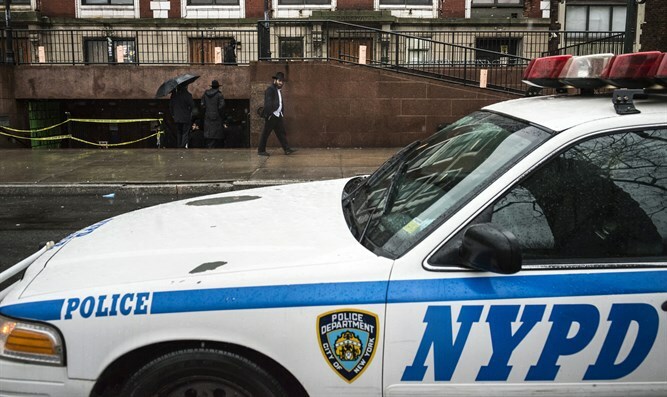 A Jewish man was assaulted in the Crown Heights neighborhood of New York near 770 Eastern Parkway, the Chabad-Lubavitch international headquarters. The man, who was walking with another Chabad man, was attacked late on Friday night by three black men and two black women near the Chabad headquarters, CrownHeights.info reported. One of the assailants asked the man "do you want to fight?" and began to kick and punch him with others joining in the attack. A neighbor who heard a man’s shouts for help called the Crown Heights "Shomrim," a local neighborhood watch, who found blood on the sidewalk but not the victim. The Shomrim volunteers followed a trail of blood into the building at 770 Eastern Parkway, where the injured man had called for medical assistance from the Hatzalah ambulance service, according to CrownHeights.info. Police reportedly have opened a bias investigation into the attack.